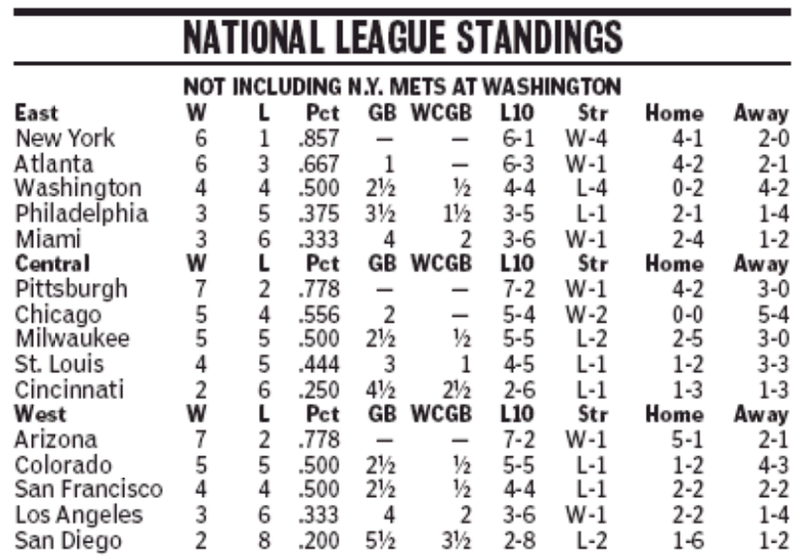 Full disclosure: The hardreading staff normally doesn’t pay attention to Major League baseball until the Fourth of July because, well, the Stanley Cup playoffs. 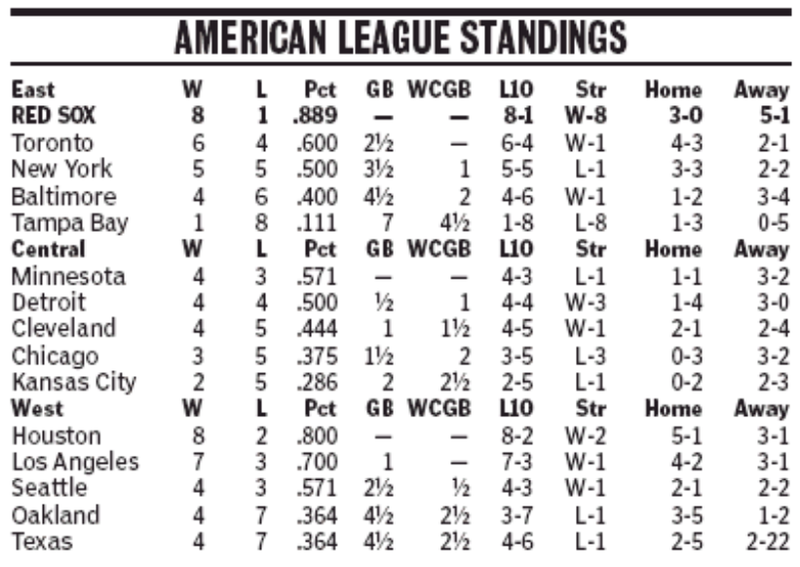 But we felt it was our duty to point out that the Boston Herald is – less than a dozen games into the season – listing the MLB standings thusly. 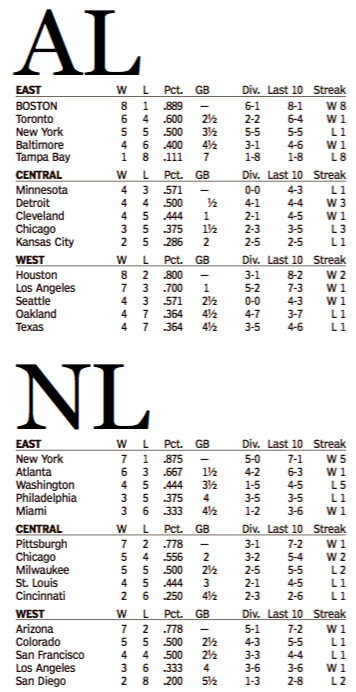 By contrast, here’s the Boston Globe’s downright rational standings format. Earth to Heraldniks: What the hell? As the hardreading staff noted the other day, both local dailies either missed or glossed over the National Anthem Flub by Sickly Sweet Baby James Taylor at Game 2 of the World’s Serious. To its sort of credit, however, the Sunday Boston Herald did sort of correct the record (without actually acknowledging the omission). After James Taylor’s mini-flub on the national anthem in Game 2 of the World Series, the pressure was on Game 3 singer Colbie Caillat to hit it out of the park last night — and the “Bubbly” singer was feeling it! . 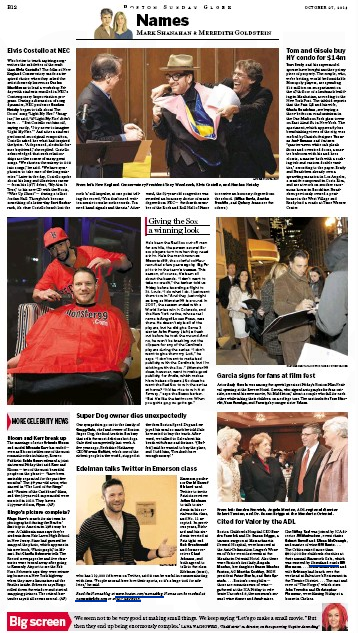 . .
No such recalibration in the Boston Sunday Globe Names column, though. The hardbetting staff is laying plenty of 8-to-5 there never will be.